Remember last week when I shared my 5 must-have card making supplies? (Read it here in case you missed it). Well, this week I want to share a little wish list of 5 card making things I wish I had. 1. The new October Afternoon paper lines. Mmmmm. I have a thing for October Afternoon and these new lines are just lovely. Vintage-y and pretty and perfect. If they show up at Archiver's, I am sure I will be snatching up one of those 8x8 paper pads. 2. Up, Up, & Away stamp set and dies by Papertrey Inc.
Well, I am actually kind of torn on this one. Remember a few months back when all the big bloggers got sent a free machine to review (totes jeals over here!)? Most of the reviews were good but said that it took some practice and could get messy, etc., etc. So I am thinking if it involves a big time investment to use I will pass on it. Then I see some cuu-ute projects and I am back into wanting it. I have it on my perpetually changing Christmas/Birthday possibility list so we'll see if it sticks around. Another item of debate. 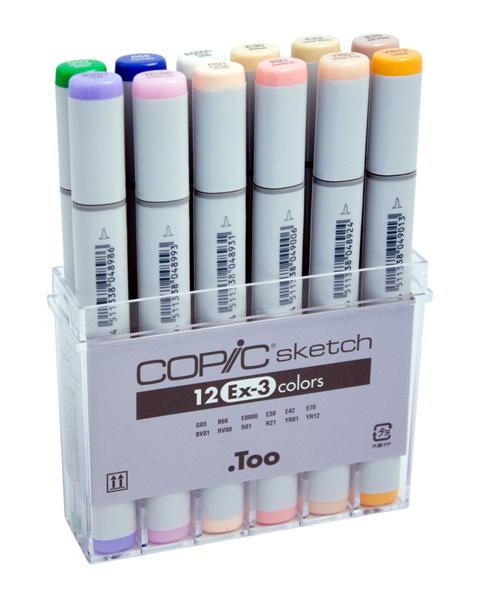 At the time I have about 15 Copic markers, which in Copic world is nothing. They can add a lot to stamped images and can be so beautiful when done right. My debate here is the cost/value relationship. Oh yes I am getting all business degree on you. If I were to invest in these, let's say $100, that is a LOT of cards to make before you start saving money versus buying cute cards at the store. Yes, I know card making isn't all about saving money (I think I would need to make about 1,000 cards to recover some of my craft expenses), but sometimes it is. Also, there is the time investment thing again. You have to really practice and I already have too many other hobbies that need some practice. I just totally analyzed the heck out of buying some markers, but it's a lot of money, so there. 5. 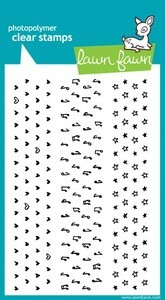 Lawn Fawn Teeny Tiny backgrounds stamp set. What are some things on your wish list? Leave a link in the comments so we can all take a look/enable one another. I know what you mean about hearts -- I'm starting to like them now, too! Care for chocolate chip cookies instead? (they're way cheaper to make). I have been wanting the Up, Up and Away set too. I think I would use it so much, especially the clouds. I agree with you on the copics... I have a few (okay maybe like 20), but they are SO expensive and I think you have to buy more than one if you want to do the shading properly. I've had my eye on that papertrey ink stamp set for a while!! I bought the Letterpress machine two-ish years ago. I've used it once. It has a learning curve, and I'm really not patient enough for it (takes a lot of time to clean and set up). I really should sell it, but I keep thinking one day I'll try it and get the hang of it. Smallgood - Yes, that is what I am afraid of. I know myself enough to know that I probably would not be patient enough for a learning curve. Thanks for sharing your experience!